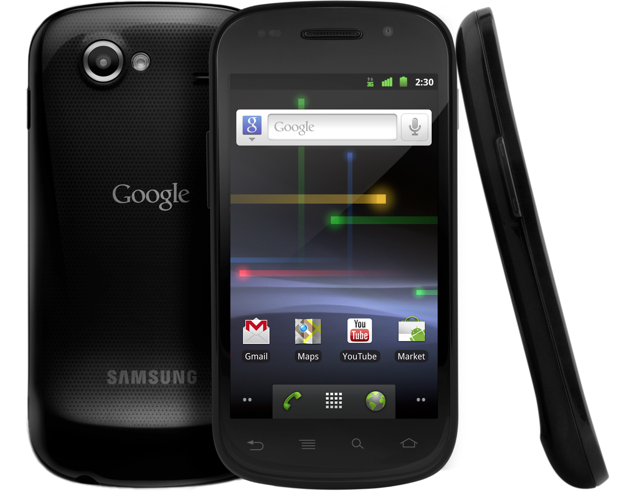 For the last few days we’ve been using the Google Nexus S, manufactured by Samsung, with the new Android 2.3 “Gingerbread” operating system. This is a phone that was designed with direct input from the Google Android team. 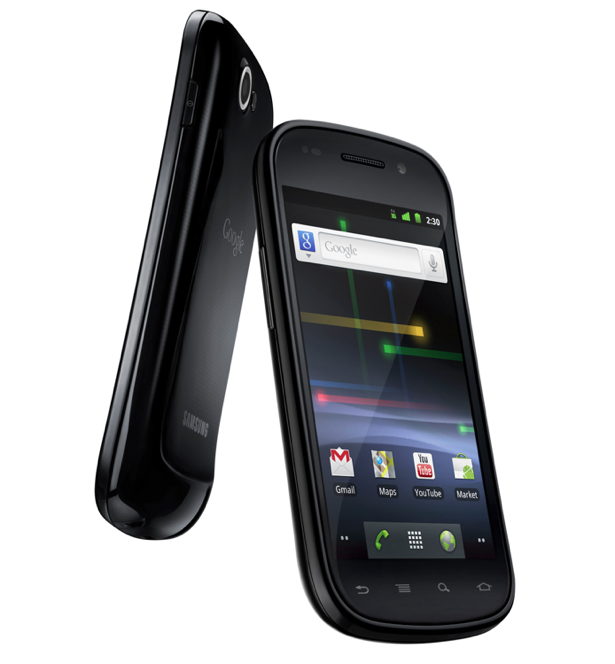 And like its predecessor, the Nexus One, which was released in January 2010, it has a “clean” install of Android. That means there is no additional software layer from third party OEMs or carriers to interfere with the user experience. 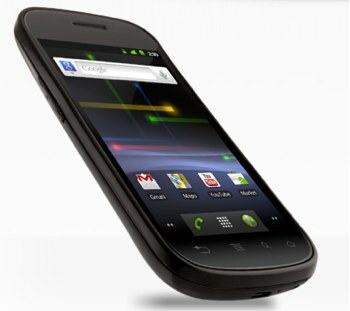 Like the Nexus One, this will become the reference phone for this generation of Android. Unlike the Nexus One, the phone was not built from scratch – the starting point was the Samsung Galaxy S, released earlier this year. And Google will not be selling this phone directly to consumers. They say that experiment is over, and this phone will be available initially at Best Buy in the U.S. (on T-Mobile) and Carphone Warehouse in the U.K. Google says the phone is currently expected to be available starting December 16, although pre-orders might be taken earlier. The phone does not fail to please. It is significantly faster than the Nexus One (and most current generation phones), has a high-end AMOLED 400 x 800 resolution screen that is second only to the iPhone 4, and is NFC-enabled. Like all Android phones it is dead simple to set up, assuming you use Gmail, Google Calendar, Google contacts, etc. But it’s Google’s various apps, some of which are unavailable for the iPhone, that make it the best phone on the market today. The phone has a sleeker design than the Nexus One, although its generic black plastic case doesn’t exactly scream for attention. The case also feels somewhat cheap, unlike the solid feel of the iPhone and some previous Android phones. But it is very thin and light – just 4.55 ounces (slightly heavier than the Galaxy S). The phone’s dimensions are 63mm x 123.9mm x 10.88mm (slightly thicker, taller and wider than the iPhone 4, and with a larger screen). It is significantly svelter than the EVO or the Droid X, previous generation Android phones that we thought were too bulky. The Nexus S uses the 1 GHz Hummingbird processor, which absolutely zooms and also seems to handle running multiple apps and background processes well compared to previous Android devices we’ve used. The 4 inch Super AMOLED 480×800 touchscreen has very deep blacks and viewing angles and is, as we said above, second only to the slightly smaller but higher resolution iPhone 4 display. Battery life is good – much, much better than the dismal HTC EVO. We’ve been getting 6+ hours of heavy voice/data usage on the removable 1500 mAh Lithium Ion battery. Google’s official specs are up to 400 minutes of talk time on 3G, 841 minutes on 2G, and standby time of 428/714 hours on 3G/2G. That may be somewhat enthusiastic, but battery life is certainly not a big problem compared to other devices we’ve used this year. The phone has both a rear facing 5 megapixel camera, with a flash, as well as a VGA front facing camera. Both performed well. The phone also has a gyroscope, accelerometer, compass, proximity sensor, haptic feedback and a light sensor. It comes with 16 GB of internal flash memory; there is no expansion slot. Wifi, GPS and bluetooth all behaved flawlessly. And, as Google CEO Eric Schmidt hinted at during Web 2.0 Summit, the Nexus S has Near Field Communication (NFC) built in — a new feature that Gingerbread adds support for. At this point you probably won’t have many reasons to have it activated (you can shut it off to preserve battery), but NFC is likely to prove very important over the next couple years. Eventually, the technology will allow you to use your phone in place of a credit card by simply tapping the phone against special sensors in retail stores. NFC will also allow for phones to swap data between each other with a minimal amount of hassle, as soon as developers add support for that (the Nexus S chip supports both read and write operations). This is basically future-proofing the phone, and a year from now I expect that most Android phones (and likely iPhones) will be shipping with NFC. Google’s noise cancellation software is also present. When combined with the excellent audio hardware it results in very high quality calls. In test calls from my car the recipient said they heard very little background noise – the iPhone in particular performed terribly in a similar test. So far, not one dropped call. We’ve been a big proponent of using Android phones along with Google Voice and other Google apps. It makes setup of a new phone very easy – a minute or two at most – and we both continue to use our existing Google Voice phone numbers for inbound and outbound phones. The Nexus S comes with the Google Voice app pre-installed, saving additional minutes. But the main event is Gingerbread operating system, which comes installed on the phone. No, the UI hasn’t seen a ground-up redesign (that’s coming in Honeycomb), but it’s improved in a lot of small ways, like the switch from a drab gray to a black notification bar (which actually helps save battery). It comes with old crowd-pleasers like the on-the-fly creation of Wi-Fi hotspots. And Google has also iterated on the user interface, particularly the keyboard. It’s not as polished as the iPhone, but text entry is significantly faster than previous Android phones, with less errors. It is also much better at predicting words, and copy-and-paste has been improved as well. If the iPhone is 8/10 on text input, the Nexus One is probably 5/10 and the Nexus S is a solid 6/10. Gingerbread also supports VoIP/SIP calling. Best of all, of course, is the fact that the Nexus S is a clean install of Android, and a pure Google experience. There is no messy third-party software to muck things up. We can write all day about a phone, but the real test with us is whether we continue to use it after a post. The EVO and the Droid X were quickly forgotten for us. Michael tested the iPhone 4 but its lack of point to point navigation and unwillingness to play well with Google Voice made him ultimately give it up after a month and move back to the Nexus One (Google Voice has finally made it to the iPhone, but it isn’t as deeply integrated into the OS as on Android, and probably never will be). The Nexus S will almost certainly be his go-to phone for the next few months. Michael is leaving today for a week in Europe, and taking only this phone with him. The fact that it’s unlocked means he can add a sim card once he is in Paris and continue to use it without extravagant additional charges. Google’s voice search/input applications and Google Navigation continue to make Android phones in general significantly better mobile devices than the iPhone. Conversely, Google continues to flail on media, and the device is not any better than previous Android phones at dealing with stored music. That’s why Michael will also be bringing an iPad to Europe, which integrates perfectly with iTunes. The bottom line is this. If you are an iPhone user this isn’t going to make you switch. If you’re an Android user you will want this phone more than any other. If you’re currently neither, we recommend that you go with the Nexus S. It is better than the iPhone in most ways. What you lose with the slightly less impressive screen and iOS’s slightly slicker user experience you will more than make up for with the Nexus S’s ability to actually make phone calls that don’t drop and Google’s exceptional Navigation and voice input applications. The fact that the phone is unlocked and can be used abroad with other carriers is also a very big plus.